Councilman Brandon Scott, Baltimore City chair of the public safety committee. NATHAN: Can you give us a little history lesson? Why does Baltimore City not control its own police department and when did the state take it over? DOMINIQUE: The state gained control of the Baltimore police department in 1860. During this time, state lawmakers didn’t want local politicians getting in the way of the operations of the police force. This was the same time period that politicians would give officer’s their jobs and officers were supposed to turn a blind eye to anything criminal those politicians may have done. Mind you this is also a century before the Law Enforcement Officers’ Bill of Rights was ever created, in which it gave officers rights above and beyond their constitutional rights. 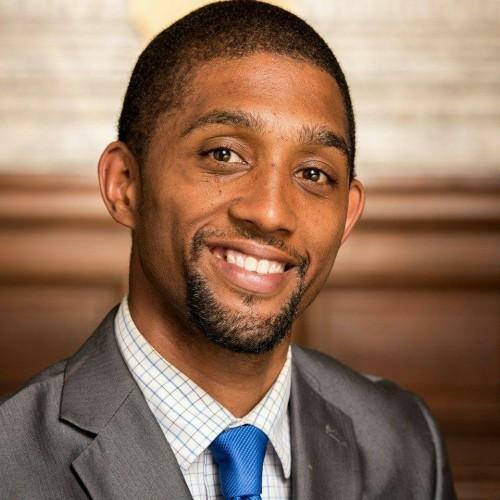 NATHAN: Councilman Brandon Scott is one of many members trying to change the status quo, what kind of attempts has he made in the past? DOMINIQUE: During last year’s General Assembly session, Scott worked with Baltimore City Delegation Chair, Curt Anderson of West Baltimore. While Baltimore City Council showed unanimous support for the bill, the newly elected Mayor Catherine Pugh at the time said she didn’t want any more control of the department. In the end Anderson withdrew the bill after lawmakers in the city delegation stood divided on it. And there were two reasons for that: One, some said that city control meant that officers would only have local governmental immunity; whereas, state control meant total immunity for State constitutional torts. And two, lawmakers said that city control would be more payment for lawsuits. But I would like to point out that the city already pays out tens-of-millions of dollars in settlements each year. NATHAN: So what is different about Scott’s attempt this time? DOMINIQUE: This time around Councilman Scott has added another part to this legislation by also asking for the creation of a Board of Police Commissioners to oversee the department. Scotts says that this board would be voted on by city residents in elections. This piece of the bill would allow for more civilian oversight which is one of the goals of the current Justice Department Consent Decree on the BPD. NATHAN: So last year attempts for this change failed, what is different about this year? Also, the only way the measure will pass this time is that the entire Baltimore City Delegation would have to be on board with it. With scathing revelations coming out of the Gun Trace Task Force trials daily, a record year of violence in 2017, and increased mistrust between the police and community, Acting Commissioner Darryl DeSousa has a lot of work on his hands. DeSousa discussed plans to change his department with state lawmakers Friday.